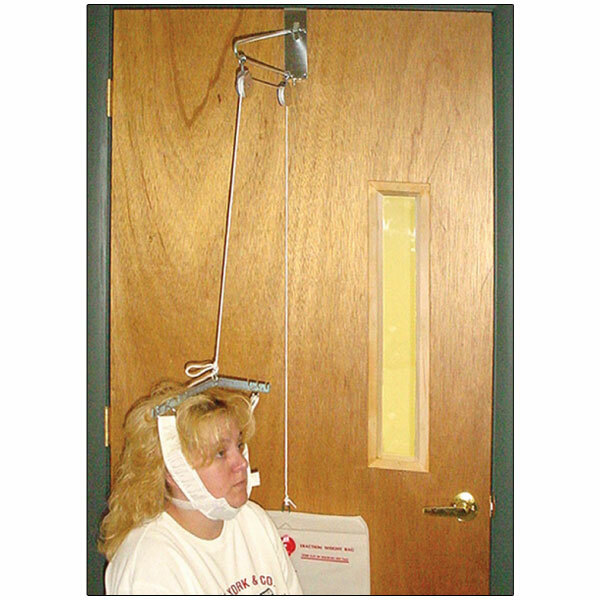 "Convenient, Portable Cervical Traction Device"
Overdoor Traction is an economical means of providing over-door cervical traction. 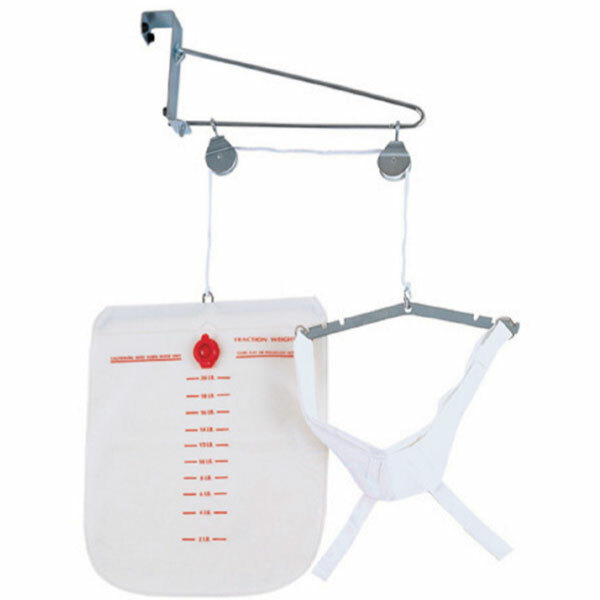 Includes lightweight, machine washable head halter (one size fits all), metal over-door bracket, pulley assembly, 12" spreader bar, "S" hook and traction cord, and 20 lb. vinyl water weight bag.